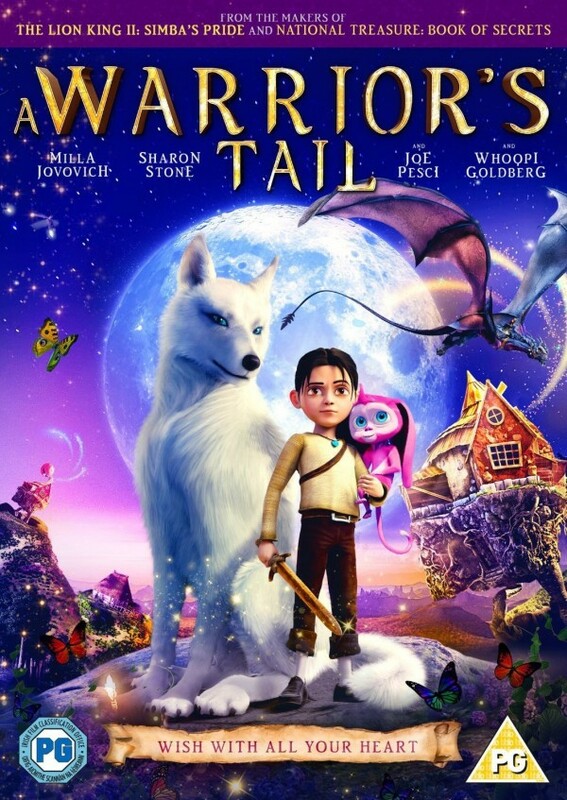 The Best Things in Life...: A Warrior's Tail - is it actually finished? Savva is a ten year-old boy who lives in a village that was once protected by white wolves. The wolves then disappeared and the village is now plagued by evil hyenas. When his mother is captured into slavery by the hyenas Savva escapes, and sets off on a quest to find why the village is no longer protected so that his mother can be freed. Some say a magician turned the wolves into bad creatures and that one day a hero will come save the village from the hyenas, which are beautifully coloured, like a monkey's bum. Where the tail of the title comes in, I've no idea. It's the first of many confusions from this mad film. This is a Russian animation from the writer of Lion King 2. An all-star cast (Milla Jovovich, Sharon Stone, Whoopi Goldberg) provide the voices for the dubbed English version. Even for an animated film, this is unbelievable. Everything is just so convenient - there is little to thrill, it all just happens. Even the animation is not that hot for 2015 - this film has a lot of competition but the effort isn't there. The characters are stilted and there really is zero humour - I think the makers are trying but they are falling way short. "... the madness and weirdness of Anime without the plot and the variety of characters of Disney without the charm." Where I really started to lose it was the constant introduction of new characters. They appear from nowhere and with no prior mention and by the end it needs a clear few lines of dialogue to establish exactly who is on whose side. The plot is incoherent and thrown together - like a series edited to 100 minutes or so. The film has the madness and weirdness of Anime without the plot and the variety of characters of Disney without the charm. And why bother putting so few songs in? None would have been a better choice. After watching this and starting to write this post up I looked at a few reviews and ratings to see if it was just me that didn't get it. It isn't - this is a bad film. Toward the end a "hut on fowl's legs" appears with no explanation why. Being right sophisticated and that I thought about the piece by Mussorgsky with the same name. I don't know if this is a coincidence or if cottages with legs like a chickens are common in Russia.